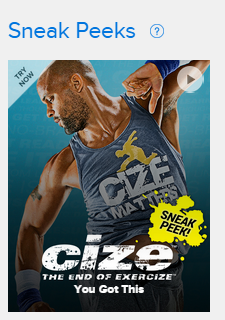 I am so excited about the new Insanity MAX:30 fitness program from Shaun T! This 60-day workout is aimed at pushing you to your personal max. And it takes just 30 minutes a day! I know you are busy but everyone has 30 minutes a day to get great results! 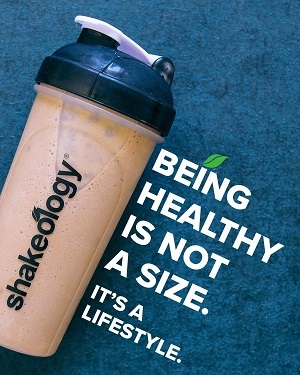 And you will be happy to know that Insanity MAX 30 does not use any equipment! And more great news… Max 30 includes a low impact modifier for all the moves. This means that everyone can participate in Max 30, no matter what level you are at. Shaun T designed Insanity Max 30 to help you lose weight, tone up and finally get the body you want! There is also a flexible eating plan that is simple to follow. 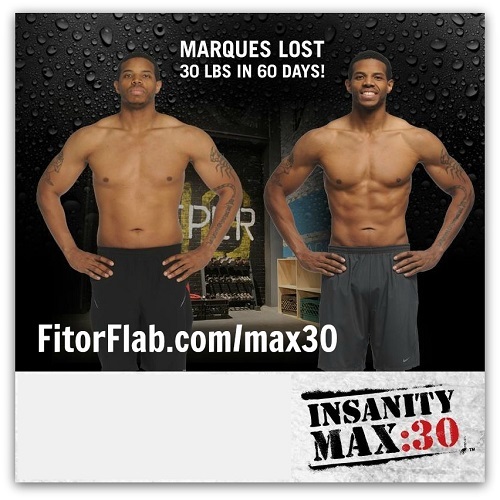 Click here to buy Insanity Max:30 – Available now – FREE SHIPPING limited time. How does Insanity Max 30 Work? The new Insanity MAX:30 is designed to push you to your personal max. This means you will be pushing as hard as possible for a long as you can until you MAX out! Yes, until you just cannot do any more or you start to lose your good form while doing the exercises. What is Included with Insanity Max 30 Base Kit? Ready to get the body you always wanted once and for all? Insanity Max 30 can get you there. But you have to do the work! CARDIO CHALLENGE – 30 minutes of the hardest cardio sequences ever. Welcome to INSANITY MAX:30. TABATA POWER – Strength training starts here with traditional Tabata-style “20 seconds on, 10 seconds off” workout structure. SWEAT INTERVALS – Just in case Cardio Challenge wasn’t hard enough, Sweat Intervals has 30 minutes of screaming, sweating, calorie-scorching madness. TABATA STRENGTH – Shaun T takes it up a notch in this NO REST, Tabata-style strength workout. That’s right…30 minutes, no rest. FRIDAY FIGHT: ROUND 1 – It’s a battle between the mind pushing to a new Max and the body saying “OMG, you can’t be serious?” And this is just Round 1. MAX OUT: CARDIO – This may be the craziest cardio workout ever. Just wait till the first Power Move. What minute is the Maxing Out at now? MAX OUT SWEAT – The more minutes, the more sweat and the more calories burned. MAX OUT Sweat defines the meaning of “twice the sweat in half the time”. MAX OUT STRENGTH – Arms, shoulders, chest, and core will be toast after this upper-body-focused, “45 seconds on, 15 seconds off” Tabata-style routine. FRIDAY FIGHT: ROUND 2 – The new “hardest workout ever.” Every move is a minute in this final fight between body and mind. Who’s going to win? PULSE – Shaun’s version of a recovery workout, this is a low-impact combo of stretching and small “pulsing” movements that will make anyone feel the burn. AB ATTACK: 10 – This 10-minute routine will feel like an attack on the abs, but everyone loves the rock-hard results. 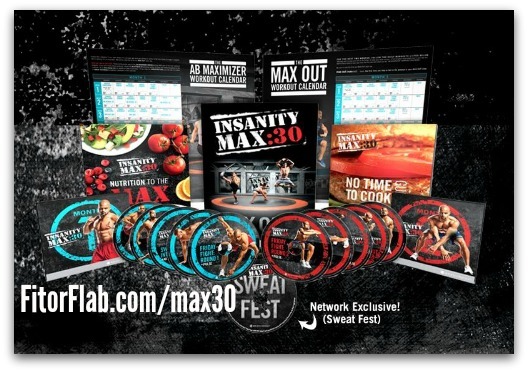 CLICK HERE to buy the Insanity Max 30 deluxe kit. MAX OUT:15 – Just as intense as the 30 minute workouts, but at least it’s half the time! 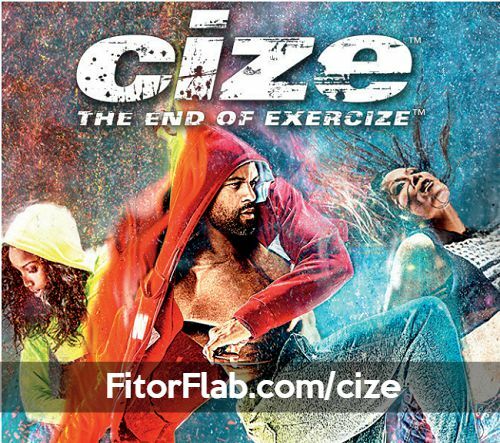 This is 15 minutes of insane cardio, Shaun T style. MAX OUT ABS – You’ll alternate between seated and standing moves with 15 minutes of crazy core work that will MAX OUT your abs. 360 ABS A – 360-degree attack on the abs and core…on the floor, in plank, and more! Insanity Max: 30 is all about pushing YOURSELF to see how far you can go! How far will YOU go?